Watch out for the small but powerful Tip-it Toby! 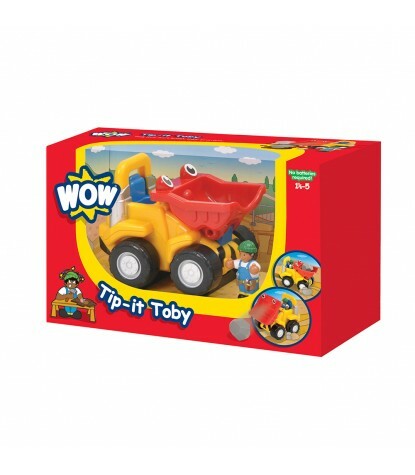 Toby may be little but he's a great help, whizzing around any work site with his powerful, motorized engine. 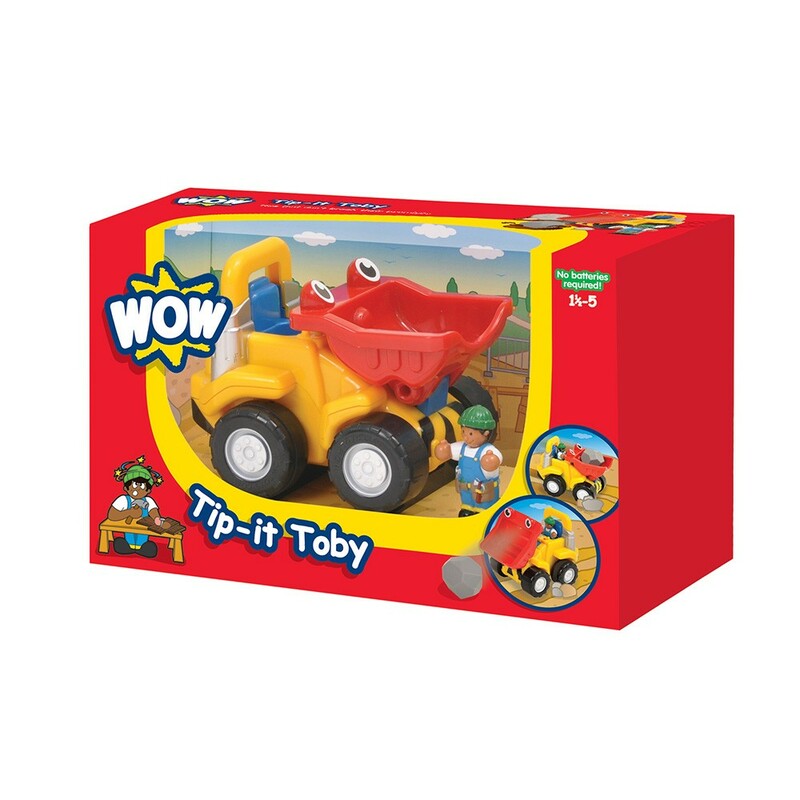 Tip-it Toby can carry heavy loads & tip them out with his spring loaded bucket. Always on hand to help out the big fellas on site, but when a job needs doing Tip-it Toby takes center stage, showing off his muscles and getting the job done super quick! Includes1x Friction-powered truck called Toby, 1x Boy driver called Paul, and 1x Rattling boulder.